Hotel Shree Balram, Sector 51 Noida, Delhi is an ideal venue to host your upcoming wedding and reception ceremony. 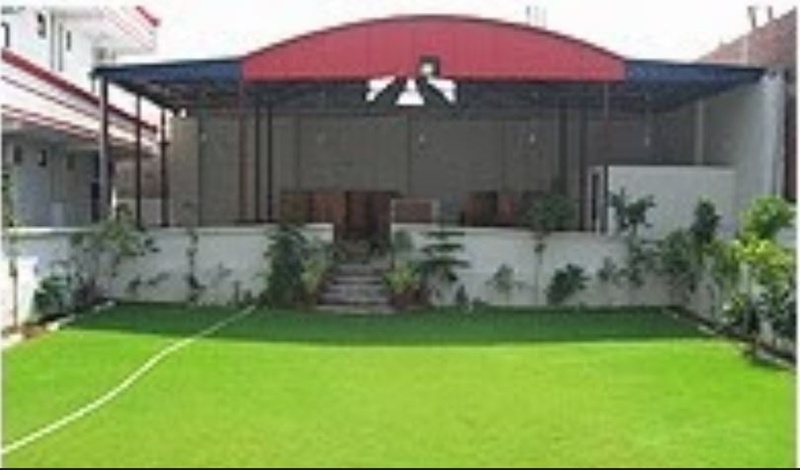 It has a lush green lawn which makes it great for having an open-air function and also can accommodate a huge crowd. It is located at a close distance from Noida City Centre which makes it easily accessible for all. Hotel Balram Noida Sector 51 serves flavoursome delicacies to choose from in both vegetarian and non-vegetarian food. The decor team at Hotel Shri Balram Noida takes care of the decoration for your big day. It serves alcohol to your guests and also allows you to get it from outside. It has two-time slots you can choose the one which suits you the best. Hotel Balram Noida has luxurious rooms for the guests which gives them a comfortable stay. Hotel Shree Balram, Sector 51 Noida, Delhi offers ample car parking space to their guests for their convenience. The Hotel Shree Balram located in Noida Sector 51, Delhi has Wedding Hotels and Wedding Lawns. Garden can accommodate upto 175 guests in seating and 300 guests in floating. Vegetarian and Non Vegetarian food is served at this venue. Features of this wedding venues are : Food provided by the venue , Non-Veg allowed at the venue , Alcohol allowed at the venue , Outside alcohol allowed at the venue , Ample parking , Baarat allowed , Hawan allowed , Overnight wedding allowed , Decor provided by the venue , Packages starts at Rs 450 per plate for vegetarian menu and at Rs 550 for non veg menu.